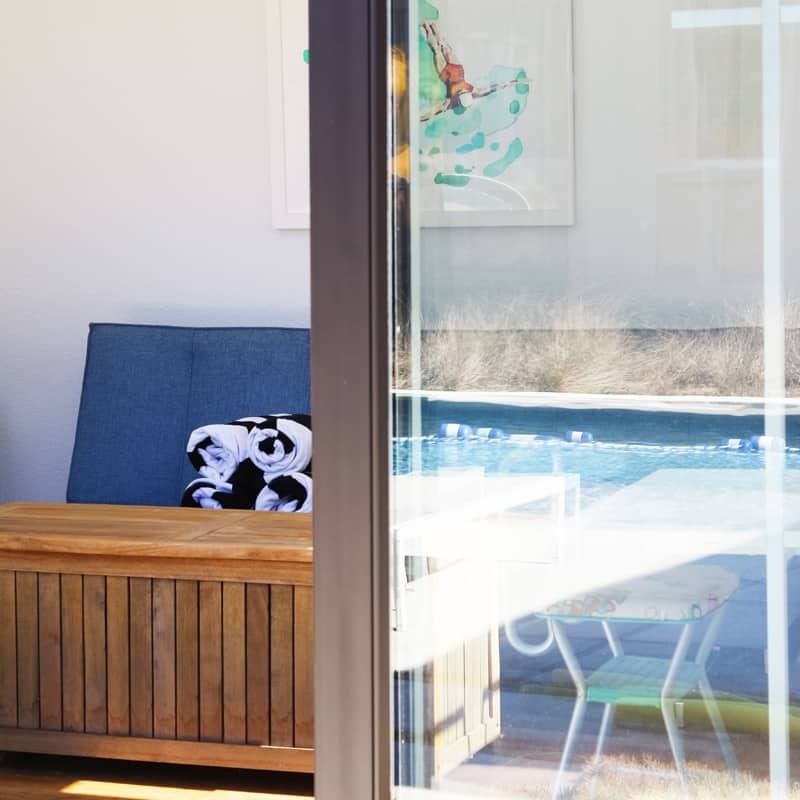 Spring is upon us and it’s time to wash away the dust and grime of winter and get our favorite spaces ready for warm weather gatherings and summer fun. 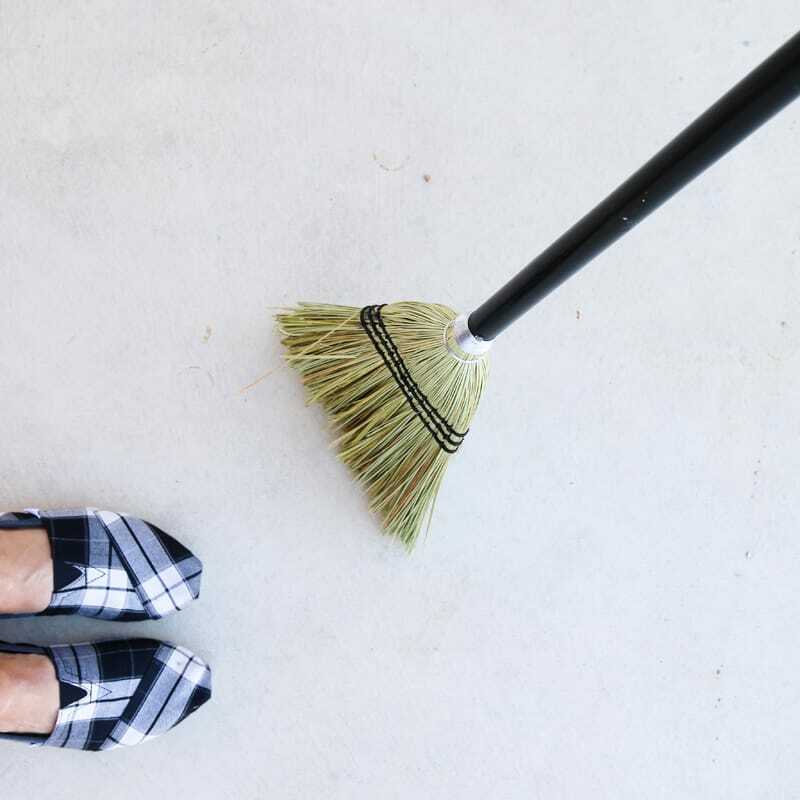 To celebrate the season, we’ve partnered with our friends at Clorox® to create a week’s worth of ideas for a Springvent calendar that is full of spring cleaning tips, tricks and inspiration. To kick off the week, we’re sharing tips on how to clean all things outdoors, from patio furniture to pool toys. Who knew that good old, affordable, and readily available, Clorox® Regular-Bleach, was the go-to cleaner for getting everything sparkling clean for the lazy days ahead? Here are 10 great tips for cleaning up your porch, patio, grill, pool or even just a picnic table. You will have everything perfectly clean and ready to make amazing memories this year. 1. Clean decks and concrete with Clorox® Regular-Bleach. Outdoor flooring takes the brunt of winter dirt and grime. Getting them clean doesn’t have to be costly or time consuming. 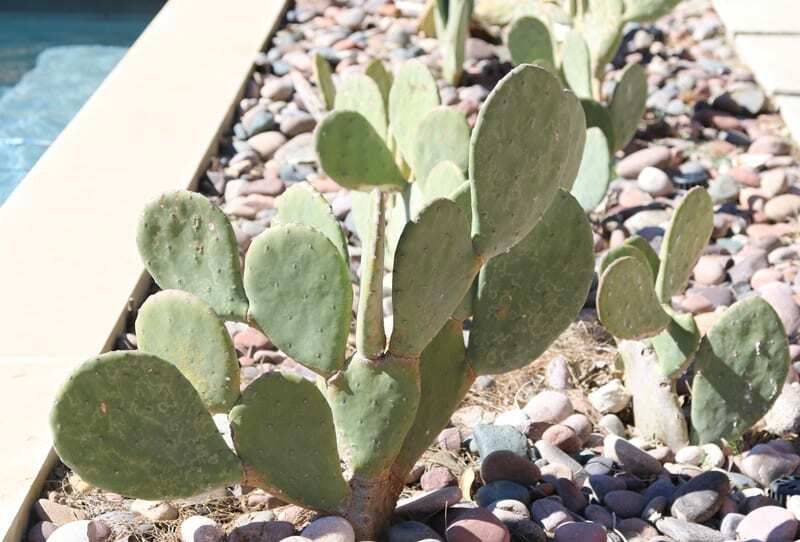 Visit Clorox.com for deck cleaning instructions and tips such as, “water your plants first.” If mold and mildew are a problem in your area, here are a few tips on how to clean outdoor mold and mildew. 2. Clean patio furniture. 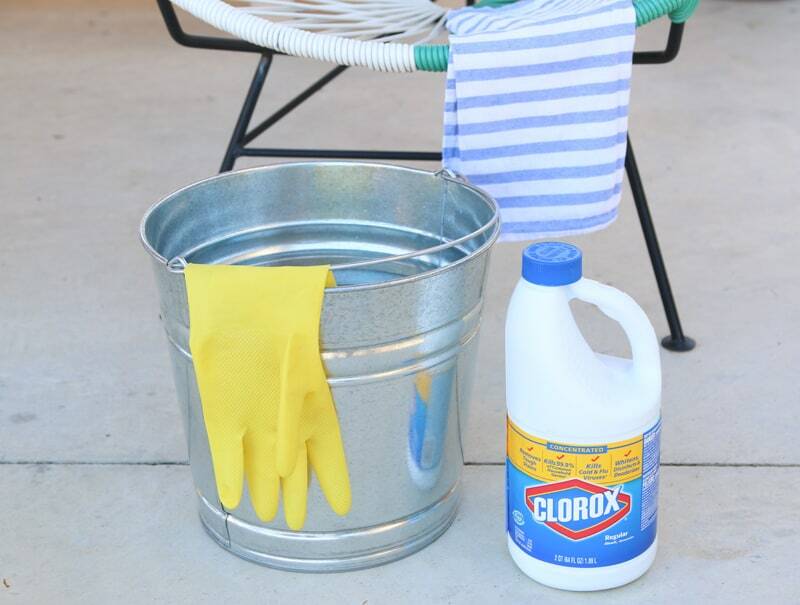 Wash hard, nonporous patio furniture surfaces* such as plastic, painted or finished wood and glass (tabletops) with Clorox® Regular-Bleach, as described on the Clorox website. *Helpful hint: When cleaning with Clorox® Regular-Bleach, don’t try to clean everything at once. You’ll need to start rinsing five minutes after you start, so it’s good to work a little at a time. That way, you don’t leave the bleach and water solution on too long. 3. Clean blow-up pool toys. 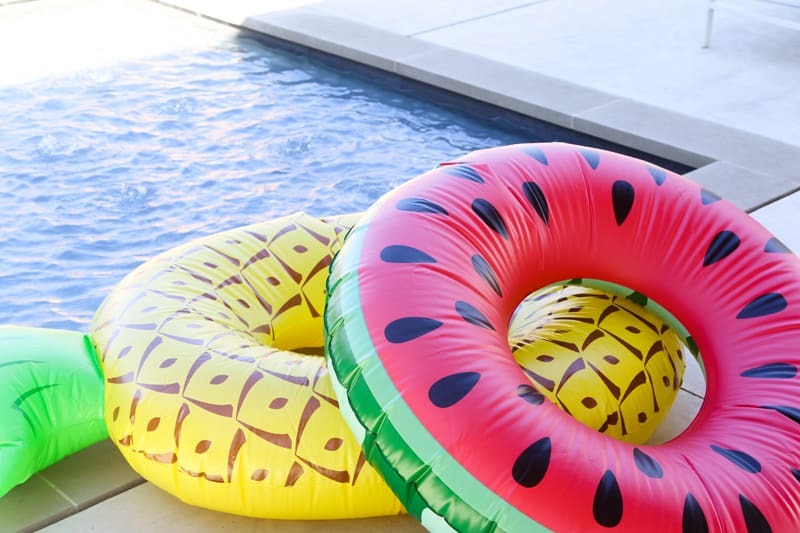 Fortunately, blow-up pool toys that are made of vinyl or plastic can be sanitized with a solution of one tablespoon Clorox® Regular-Bleach per gallon of water. 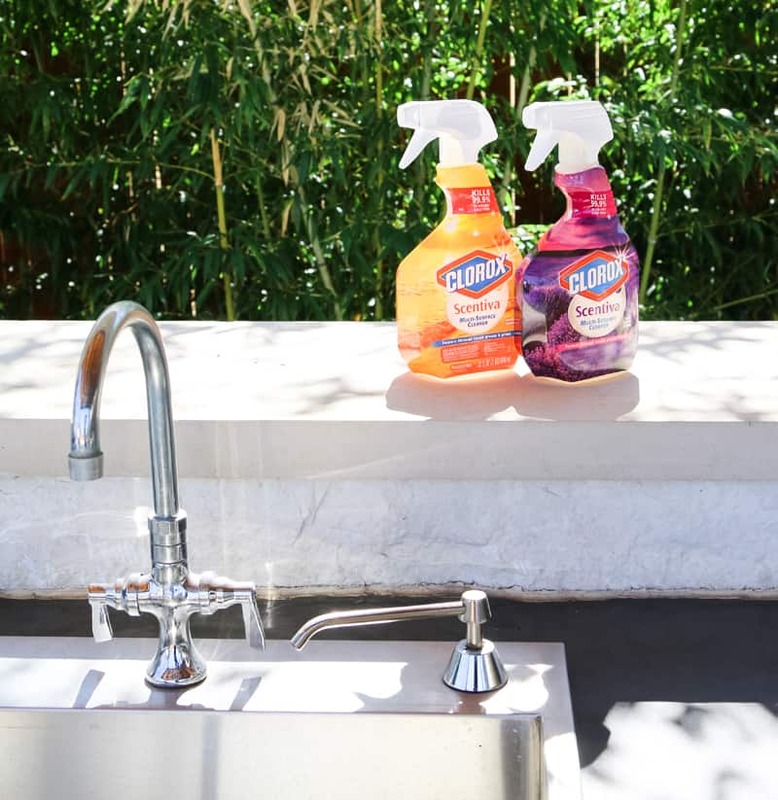 Wipe the bleach solution on, let stand for two minutes and then allow items to air dry (you don’t have to rinse them, similar to sanitizing food contact surfaces). It will probably be easiest to do this when the toys are inflated. 4. 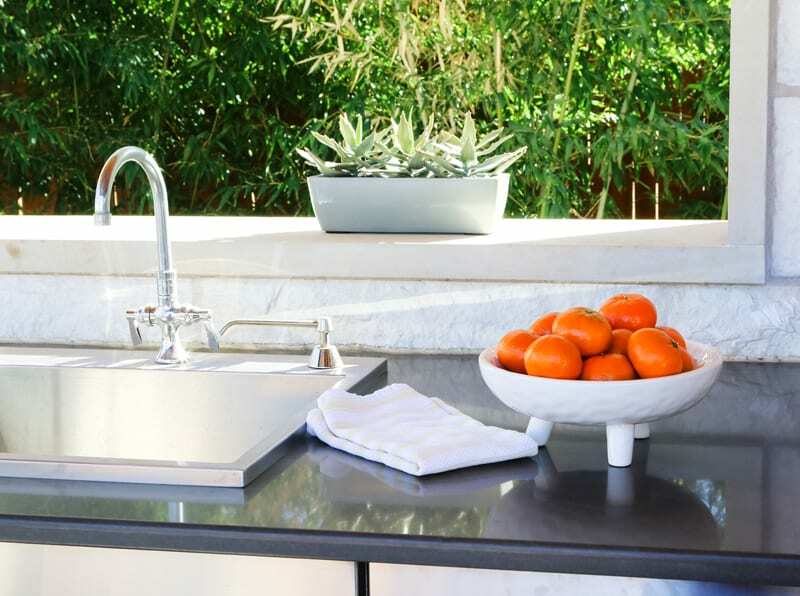 Wipe down all outdoor kitchen surfaces such as appliances and counter tops. Clorox® Scentiva® comes in heavenly scents like Hawaiian Sunshine and Tuscan Lavender and Jasmine, which maybe makes cleaning a little more enjoyable? 5. Clean the grill. Cooking on the grill is one of my favorite things about summer. It’s fun to get out of the house and cleanup is so much easier. 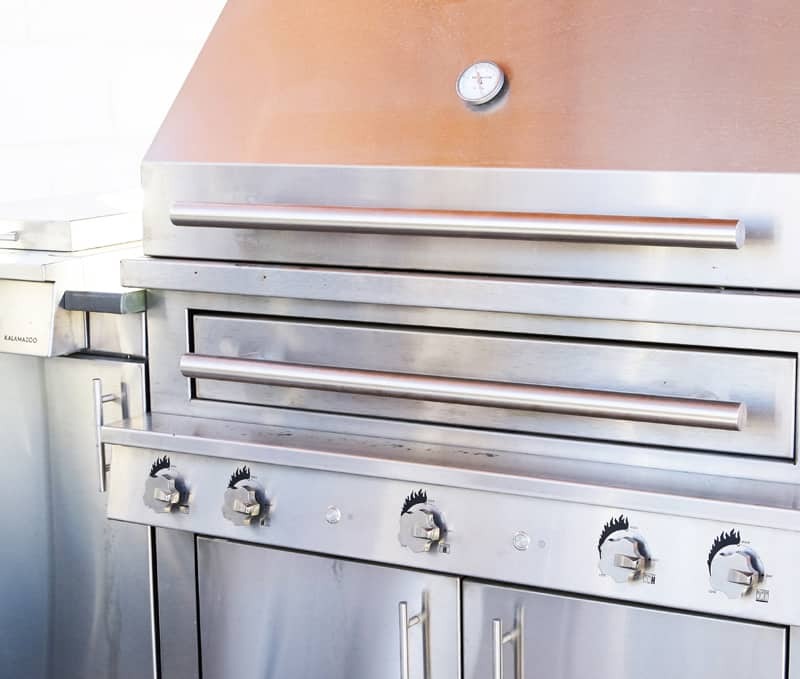 Clorox has some great tips for cleaning your grill and keeping it in great shape all season long. 6. Wash linens. 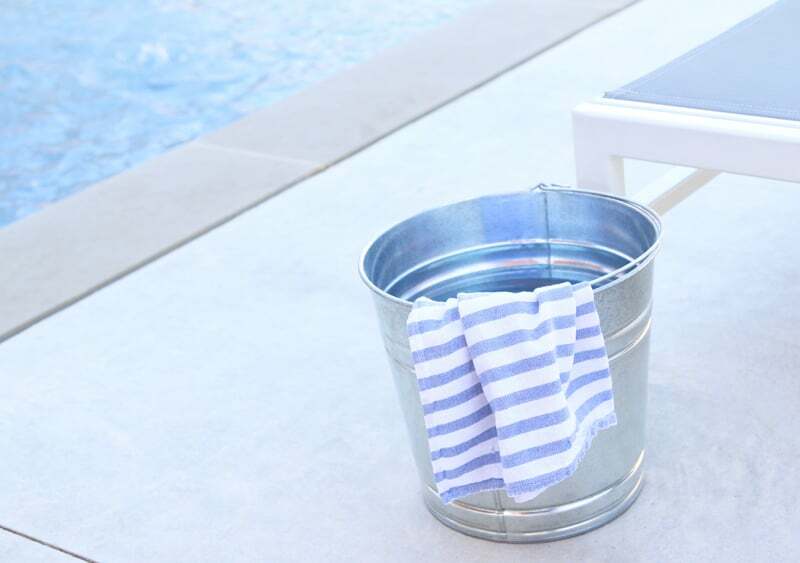 Even if pool towels were clean at the end of the season, freshen them up by running them through the laundry so they are fluffy and smelling great. Did you know that you should skip the fabric softener to keep towels absorbent? Find more towel washing tips here. 7. Wash windows and glass doors. You and your guests will notice that they are sparkling and fingerprint free…at least for the first five minutes of your party. 8. Wash outdoor plates, silverware and trays. They will be ready and dust-free for your next backyard get-together. 9. Remove mold and mildew from plants and trees. Did you know that Clorox® Regular-Bleach can even help your plants and trees fight mold and mildew? Read how to treat your landscaping with bleach here. 10. Sanitize your pool. 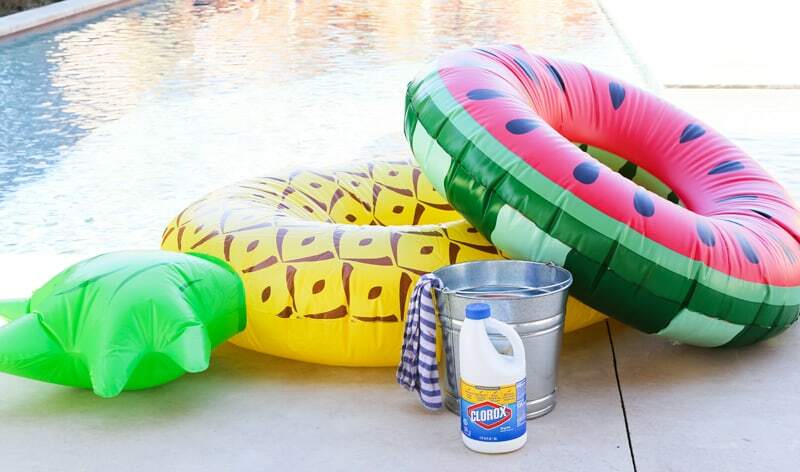 Whether you have a kiddie pool or an Olympic-sized pool, you can keep it sparkling clean with Clorox® Regular-Bleach. 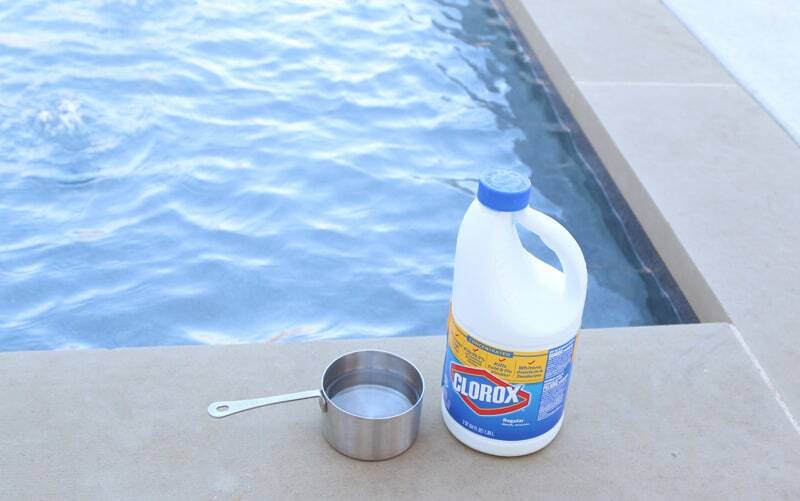 The Clorox website has everything you need to know about how to use bleach to sanitize your pool. 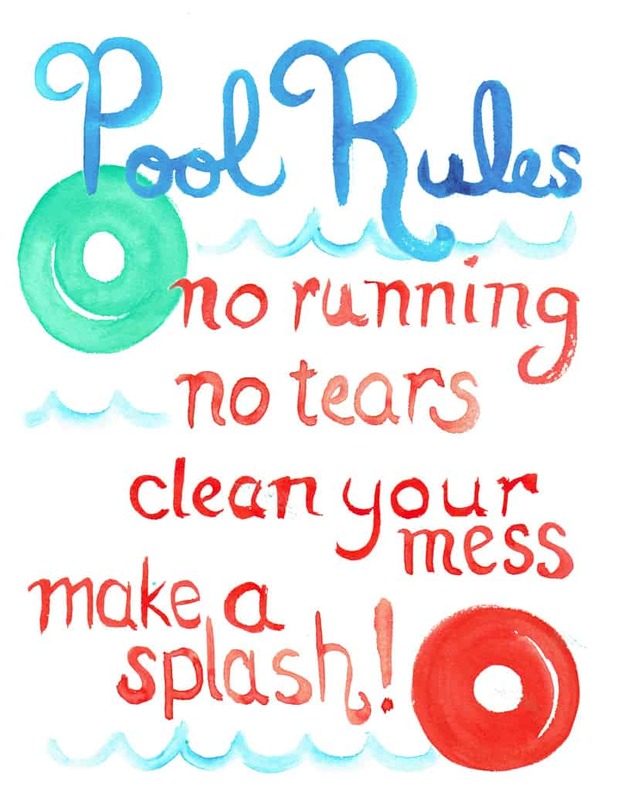 Speaking of pools, we created this for you to post in your own backyard. You may have your own rules, but these four seem to be universally accepted. This post was sponsored by Clorox®, but it is our personal opinion that bleach is awesome. Thanks! I had no idea Clorox is so useful.